Asha Ashish: Akshay Kumar turns teacher for daughter Nitara! Daddy dearest Akshay Kumar is enjoying his Diwali with family at home. His writer wifeTwinkle Khanna's latest post on twitter is a proof of it. Twinkle posted an adorable picture of her hubby, Akshay Kumar spending time with daughter Nitara. 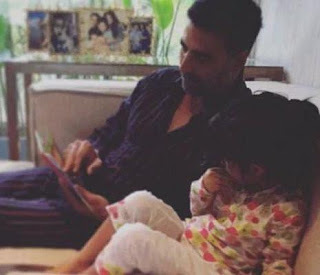 In the picture posted, Akshay is seen reading a book, while his daughter Nitara is watching over. The beautiful wife also captioned the picture as, "Early morning reading session #Ladybird." Aren't they one of the most adorable father-daughter duo?! Meanwhile, Akshay Kumar is currently gearing up for Airlift, which releases in January 2016. 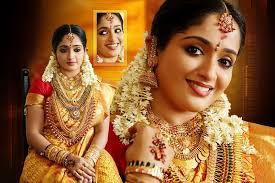 He also has Housefull 3 on cards, which is directed by Sajid-Farhad, and also stars Ritesh Deshmukh, Nargis Fakhri, Jacqueline Fernandez, Abhishek Bachchan, Lisa Haydon along with Akshay Kumar.